To me the lyrics to Pride were always perfect. To be honest, I never really looked at the lyrics because Bono communicates so much through the emotion he sings with. The lyrics painted a picture but it was so fractured that I was able to bend my life to fit the song. I made the song mine. The lyrics were perfect. As a “description of a feeling [MLKJr] unlocked” in Bono, the lyrics should not be taken as some type of biographical account of MLKJr. Nor should it be seen as somehow a listing of individual verses that refer to various individuals who stood for peace. 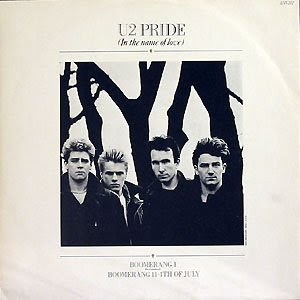 Rather, the lyrics were written poetically and symbolically to portray the feelings that reading about the life of MLKJr and his sermons brought to Bono. Thus, when I look at other people’s efforts to interpret the lyrics by taking each line of the song and attributing it to different people, I think that approach is mistaken. Bono is not trying to write a song about all of the peacemakers who have ever lived. Rather, he is putting into words the feelings that reading MLKJr’s sermons evoked in his heart and mind. Thus, it seems to me that any interpretation of the lyrics must start with his Christ-centered mindset. With that starting point, the lyrics become a bit easier to interpret (although not without remaining difficulties). The easiest verse to interpret is the final verse which is clearly about MLKJr. As noted in the Bono quote, the time of day for the assassination of MLKJr is wrong, but Bono certainly confirms that he is talking about MLKJr. Even the righteousness of God [which is] by faith of Jesus Christ unto all and upon all them that believe: for there is no difference: For all have sinned, and come short of the glory of God; being justified freely by his grace through the redemption that is in Christ Jesus: whom God hath set forth [to be] a propitiation through faith in his blood, to declare his righteousness for the remission of sins that are past, through the forbearance of God …. "One man come he to justify" is from Isaiah 53:11, probably the best- known Old Testament prophecy describing the purpose of Jesus' coming: "my righteous servant will justify many, and he will bear their iniquities." "Justify" is a key verb in Christian theology referring to how the grace of Jesus makes believers right with God. Now is the judgment of this world: now shall the prince of this world be cast out. And I, if I be lifted up from the earth, will draw all [men] unto me. But the first verse is about MLKJr, too. Does MLKJr fit as easily into the first verse as Jesus? No, but recall that Bono is writing about the feelings that reading MLKJr’s sermons and learning about his life brought to him. Keeping that in mind, it can be seen that MLKJr also came in the name of love – love for his fellow man who was being denied equality under the law. He also came and went because he lived for only a short time and was taken from us by the assassin’s bullet. He came to justify in the sense that he came to bring justice and hope to the downtrodden African-Americans, and he certainly used civil disobedience as a means to overthrowing the unjust laws. One site that allows people to comment on the lyrics have people identifying each line of the second verse with a different individual. For example, the reference to the “barbed wire fence” is about the Berlin Wall; the individual resisting is Ghandi; and the man who “washed on an empty beach” is referencing Roger Casement. However, keeping the idea in mind that this is a song about Bono’s feelings, I don’t think that it is necessary (or even helpful) to try to divide the song up in that way. Instead, it is best to continue to view the song as being primarily about MLKJr in Bono’s Christian mindset. The final line of the second verse clearly references Jesus – Jesus is the first (and only?) person in history who was betrayed by a kiss. But at the same time, Jesus was certainly not literally caught on a “barbed wire fence” since barbed wire wasn’t invented until the mid-1800s. But being caught on a “barbed wire fence” evokes an image of being trapped in a prison of some type. Certainly, the pre-civil rights African-Americans were for all practical purposes trapped by the unjust laws. MLKJr resisted these unjust practices using civil disobedience. Thus, the first two lines of the verse could be about MLKJr in a figurative sense. But who is the man washed on the empty beach? I like the suggestion on U2 sermons that the third line of the verse alludes to Jonah 2:10: “And the Lord commanded the fish, and it vomited Jonah onto dry land.” For those unfamiliar with the account, Jonah was a man who was commanded to go to the City of Nineveh to preach repentance to an evil people. Jonah resisted the call, but God used a storm and a fish to drive Jonah to do God’s will even though Jonah wanted to run the other way. In other words, Jonah was sent by God to tell an evil people to repent. Longevity has its place. But I'm not concerned about that now. I just want to do God's will. And He's allowed me to go up to the mountain. And I've looked over. And I've seen the Promised Land. I may not get there with you. But I want you to know tonight, that we, as a people, will get to the promised land! And so I'm happy, tonight. I'm not worried about anything. I'm not fearing any man! Mine eyes have seen the glory of the coming of the Lord!! Following in the footsteps of Jonah, MLKJr is a man who overcame personal reluctance because God called him to do it. Thus, MLKJr could be the man who washed on the empty beach. And still, he is like Jesus because he also came in the name of love. As a song, Pride isn’t perfect. It admittedly is nothing more than Bono’s emoting about MLKJr. Similarly, my interpretation of Bono’s meaning may be wrong. However, unless Bono sees fit to fill us in more fully about what he intended, I expect that there will always be questions about the song's meaning. But given his Christian faith and his acknowledgement that the song was inspired by MLKJr, there is at least a reasonable possibility that I’m correct. "One man caught on a barbed wire fence" in the name of love? Could be evoking crucifixion imagery. Thanks for this interesting and thorough post -- I plan to link it for MLK Day. Can I just point out, though, that the @U2 archive of Biblical references and the blog for the "Get Up Off Your Knees" sermons book are two different websites run by different people [and sometimes with different opinions as to, say, whether Jonah may be referenced in Pride ;-)]? (I say this because you cite @U2's archive twice here in links under the name of my U2 Sermons blog; Angela Pancella and @U2 deserve credit for their years of work on the archive, long predating our book). I've always thought the "one man washed up on an empty beach" was a reference to the apostle Paul (or St. Paul) when he was shipwrecked on the way to Rome? 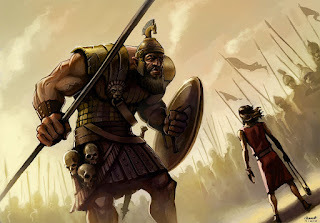 (Acts Chapter 27) It would seem to fit better than Jonah, both for the link to Christ, and also because Paul was more associated with preaching a message of peace, resisting the wicked spirit of this world, and suffering because of it (although as far as we know he wasn't killed, he was imprisoned) which seems to link the two other people clearly identified in the song (Jesus, MLK).